Medicinal Threads was created with the intention to weave plants, art and community together as one! 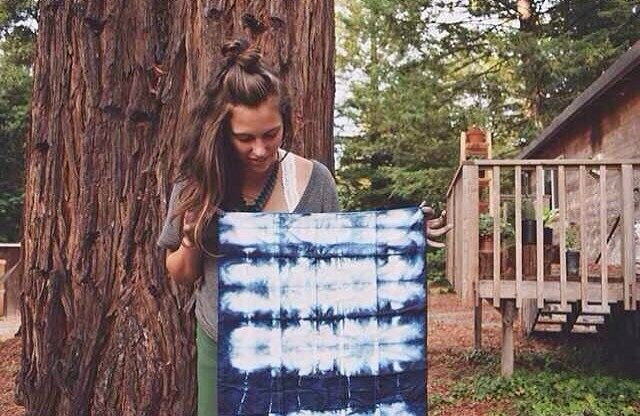 A place to share stories, ideas and photos of the natural dye process. With the vision to inspire others to create with there hands, play in the dirt and discover the alchemy of nature! We are excited to launch Medicinal Threads as a place to share our journey and pass on the inspiration and beauty we experience working with plants and fabric, and we hope this will become a place for other artists to share their stories. Rachel has been hand dying for three years now with her line of Hand Made Organic Womens clothing Running River Organics. She is deeply inspire by nature and devoted to keeping alive the tradition of cooking color from plants to cloth. In the first year of Hippie Baby Organics Anna has incorporated US Grown Organic Cotton, rescued fabrics and is phasing into more Hand Dyed baby and toddler clothing. As a gardener and lover of herbs she is planting a dye garden and thinking of the medicinal qualities of the plants that will then be infused in the color of the cloth.